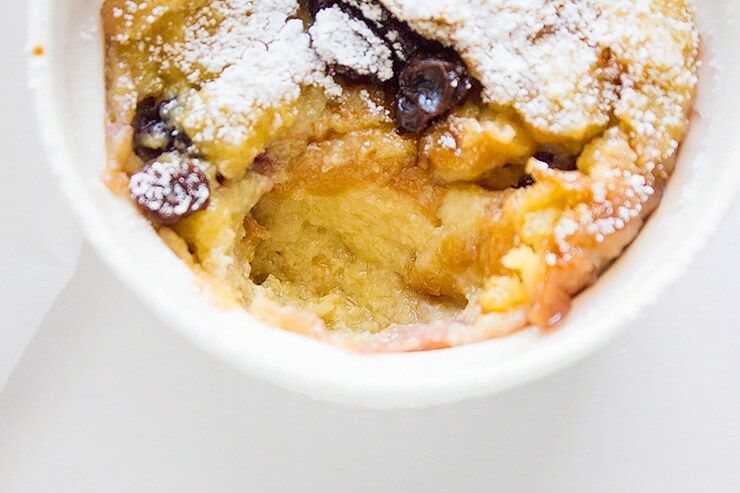 Waking up in the morning and finding a warm bread pudding waiting for you is like a dream. In my house this dream comes true every now and then, today someone woke up smelling Blackberry Bread Pudding and it wasn’t me! At times and especially on weekends, I like to pamper my family and myself. I keep coming up with different and interesting elegant breakfasts, my family deserves it. This blackberry bread pudding is fluffy, not too sweet so you can add your favorite ice cream, pour caramel sauce, or sprinkle confectioners’ sugar on top. 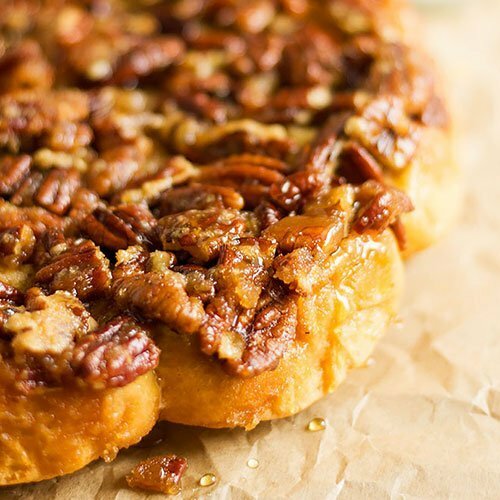 The recipe I’m sharing today serves two because this weekend it’s only me and my sweet half, you can double the recipe, but keep in mind that it might need more time to bake. The fresh blackberries tasted like blackberries jam after the bread pudding was baked, that is one of the reasons why I like to include fruit in my baking. 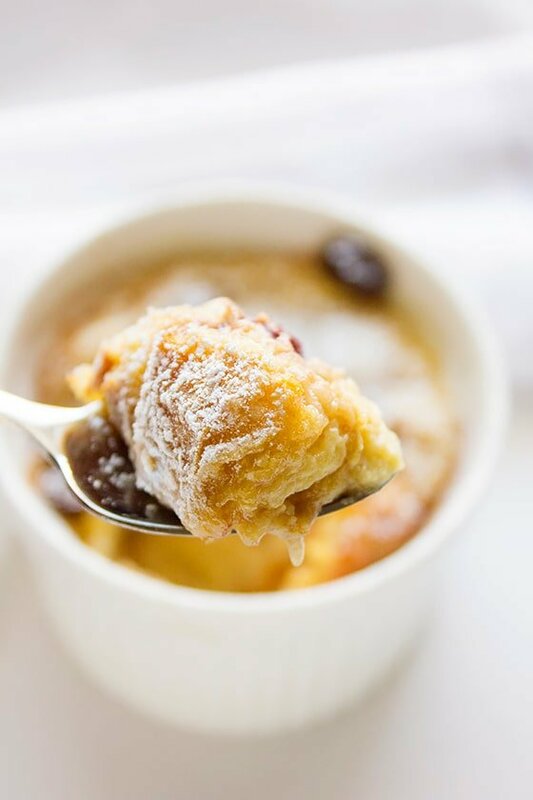 This blackberry bread pudding is fluffy, not too sweet so you can add your favorite ice cream to it, or pour caramel sauce on top. Mix the butter with bread and keep aside. In a bowl add the rest of ingredients (except blackberries) and whisk until the sugar dissolves. Distribute the half the bread in two ramekins, add the blackberries on top then add the rest of bread on both ramekins. Pour the custard evenly in both ramekins. You can add the raisins now if you wish. Bake in a water bath for 45 minutes. 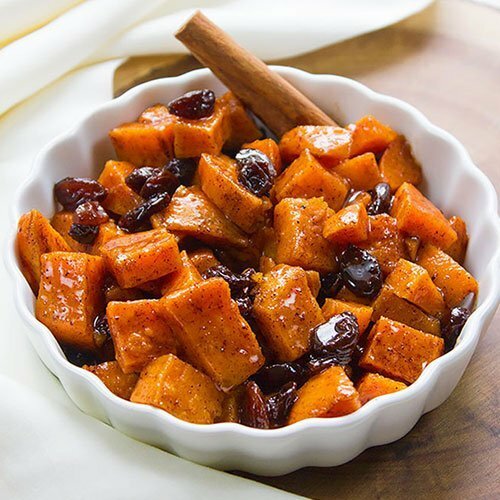 Serve hot with cream, ice cream, or sprinkle with confectioners’ sugar. Yummy! Oh I want this for breakfast! Looks incredible Muna !! 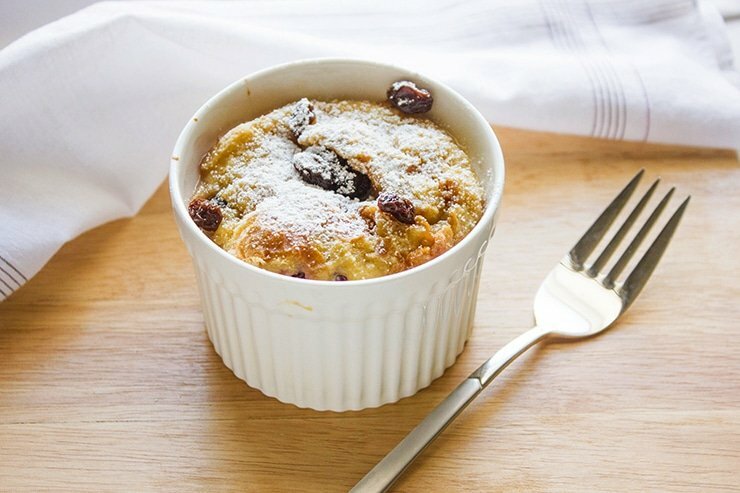 I love bread pudding, it’s so comforting! 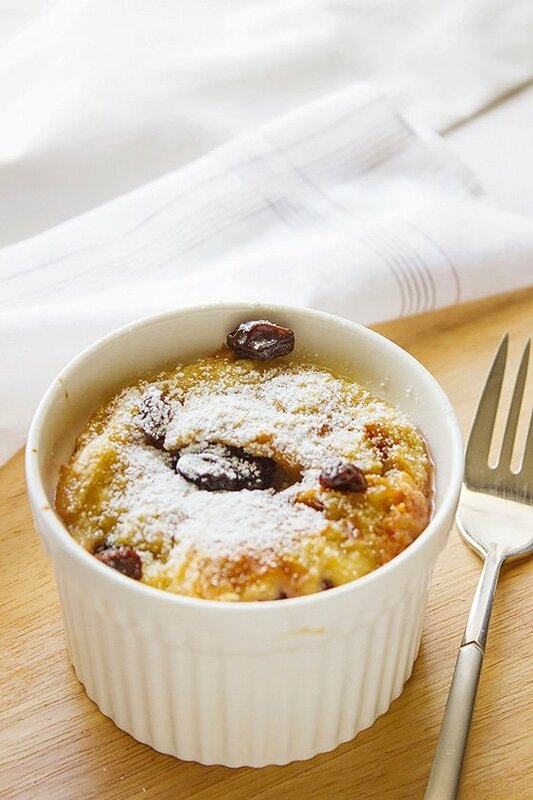 Everything about this bread pudding is irresistible . I will take this entire dish all for myself. 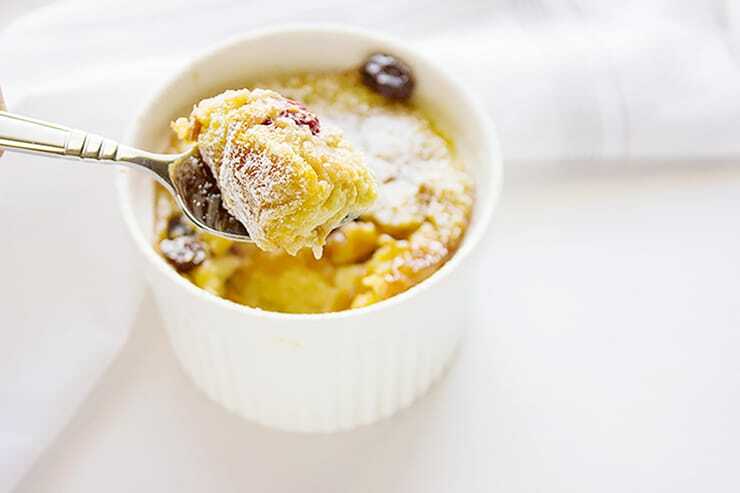 My morning will surely be beautiful if I have this blackberry bread pudding waiting for me on the table for breakfast! Love it!